From April 2017, manufacturers of all kinds of motor vehicles as also E-rickshaws and E-carts will have to give detailed declaration about the emission levels of the vehicle they have manufactured. Through a recent notification, the Ministry of Road Transport & Highways has amended Form 22 under the Central Motor Vehicles Act, 1989, through which manufacturers provide the Initial Certificate of Compliance with Pollution Standards, Safety Standards of Components Quality and Road -Worthiness certificate for all vehicles. Earlier, Form 22 only certified that the vehicle in question complied with the provisions of the Motor Vehicles Act and rules there under, including the relevant emission norms - Bharat Stage I/II/III etc. From 1st April, 2017 however, the vehicle manufacturers will have to provide emission details for each vehicle in the revised Form 22 . 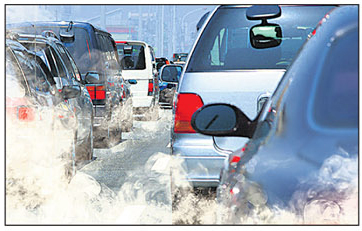 The Form will include the brand, chassis number, engine number (motor number, in case of battery operated vehicles) and emission norms - Bharat Stage - IV / VI /Bharat (Trem) Stage-III/III etc of the vehicle and specify the levels of each pollutant like carbon monoxide, hydro carbon, non-methane HC, NOx, HC NOx, PM etc for petrol and diesel vehicles and also sound level for horn and pass by noise values. The amended rules will apply to all vehicles run on petrol, CNG, LPG, electric, diesel and hybrid, including agricultural and construction vehicles, as well as E-rickshaws and E-carts. Form 22 will be issued with the signature of the manufacturer. In the case of E-rickshaws and E-carts, this Form will be issued with the signature of an authorized signatory of registered E-rickshaw or E-cart association.